Phone Spy Track & Locate Android Phone's Usage and Activity. 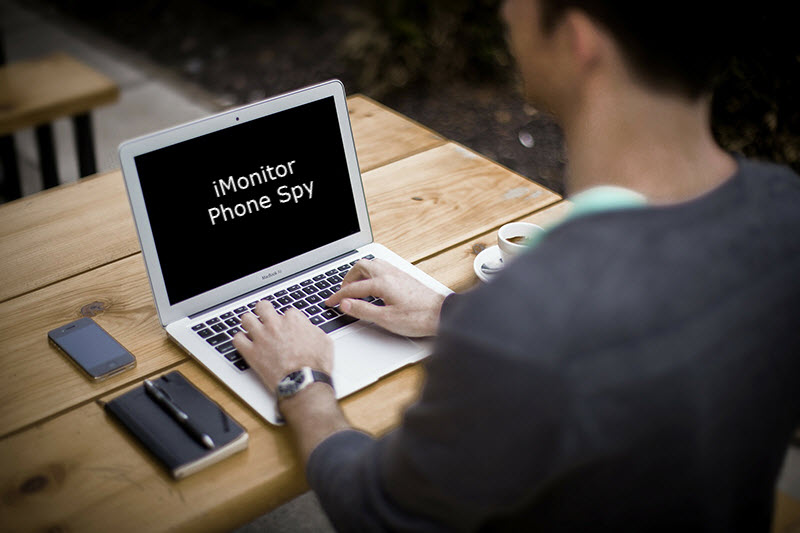 After sign-up, please click here to log in the iMonitor Phone Spy web console. On the target phone, open web browser, enter the URL below in the browser's address bar to download and install the agent program. On the target phone, open web browser, enter the URL below in the browser's address bar to download and install the launch agent program. 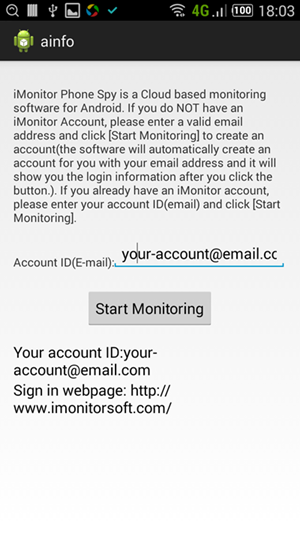 Enter your iMonitor account ID and Click button "Start Monitoring", then close the agent startup window. Open APP Manager on the mobile Phone, find and uninstall the APP named "ainfo", it will be uninstalled completely. 4.1 How many days the logs will be stored on the server? Any limitation for data size? The logs will be stored for 7 days. If you want to extend the time, please contact us. And there is no data size limitation. 4.2 When I log in it says the phone is offline and no data is loaded. What's wrong? It might be the following reasons: the phone is off or in standby mode, Wi-Fi and other internet access not available or the app is unistalled. You should restart the phone and check after a while, if it doesn't work, please reinstall the agent program. Yes, iMonitor phone spy agent program works in totally stealth mode without any popups.